Bobby Van’s caters to private and semi-private events. Our dining spaces can be divided (through the use of our elegant French doors) into a space as intimate as a party of 10 or can be fully opened to accommodate a party of up to 300. The combination of a traditional American grill combined with the classic elements of a first-rate steak house best describes Bobby Van’s fourth New York City location. Run by the same four partners who have been awarded Tom Horan’s American Top Ten Steakhouses in each of the past three years, the Grill caters to those seeking the legendary Bobby Van’s Porterhouse as well as lighter dishes such as pastas, salads and fish. 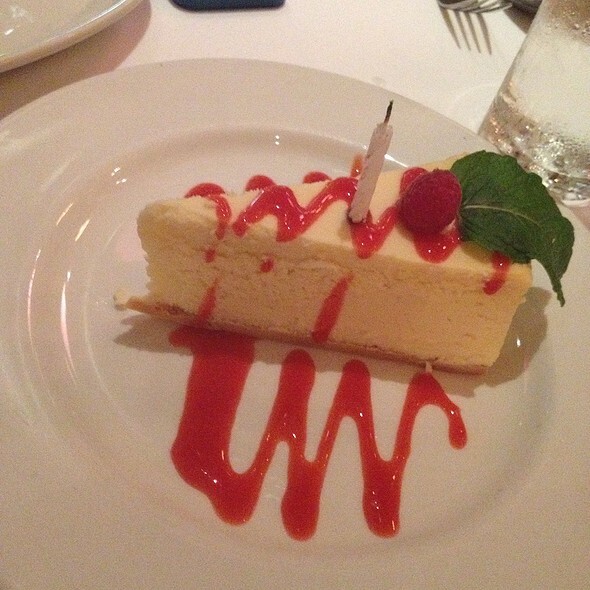 All served with the renowned service that has been Bobby Van’s hallmark from its beginnings in 1969. As partner Joseph Hickey said “We’re all about pure, unadulterated customer happiness." It was a classic, steakhouse. I loved our waiter, the food was incredible and then being it was my fiancé’s birthday they sang happy birthday and gave you a cupcake which was delicious. I didn’t even know this was going to happen. I loved it and she did as well! I can’t recommend this place enough. 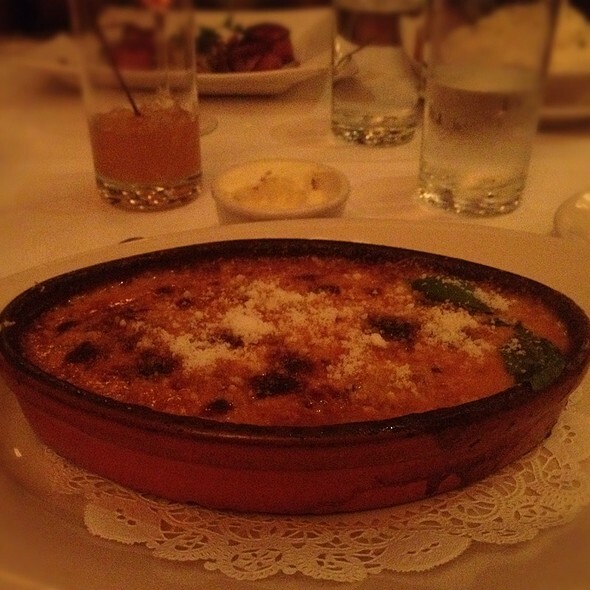 Old world deliciousness food, ambiance, service in the heart of the theater district! After a long day of exploring the city, we found a restful place to eat a fantastic meal and drinks. The staff was very accommodating and the service was excellent. I came here looking for a good restaurant close to the Cort Theatre. Because of construction, the entrance was obscured, but I am glad I persisted. The reception was warm and welcoming and all around the restaurant, customers were enjoying themselves, including one large party that appeared to be celebrating something. The menu arrived quickly and the waiter helped to make choices that ensured that I would eat a hearty and delicious meal and be finished in time to get to the theatre. His wine and beer suggestions were spot-on. There was good food, and a good atmosphere, and excellent service. I was very disappointed with the service and the response when we complained. Expect way more from this place especially when I go there a lot. Don’t think will return. The dining room is lovely, the service is excellent and the food will not disappoint! For amazing value, try their 3 course lunch. The ribeye is outstanding, and just the right size! I have eaten here before and I was disappointed the filet mignon was 25% fat that was not edible, filet is usually all quality meat. I also ordered the beef carpaccio appetizer which was average and was very small for the price, I have had this at Remy and other NYC restaurants where both quality and price were better. I know I would have had a better dinner at Ruth’s Chris or Gallagher’s where I have eaten many times and it would have cost a little be less as well. Unfortunately I will not be going back to Bobby’s anytime soon. Place was nice & staff friendly. Had incredible shrimp cocktail & my boyfriend had the salmon that was excellent! However I had the linguine w/white clam sauce - terrible! No sauce & No flavor! Had exactly 5 whole clams in it - none chopped up . . . . Was dry & tasted like nothing - waiter suggested adding more cheese to it but then it only tasted like parmesan cheese! Had to go to a show so ate & got out of there. 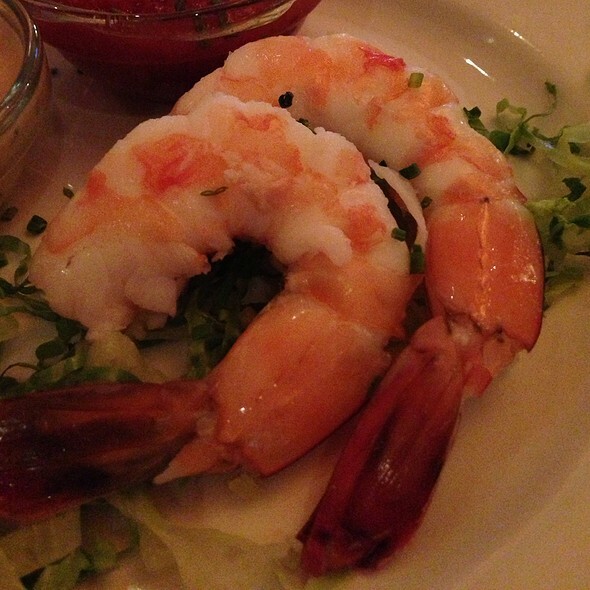 My experience at Bobby Van's Grill -50th St. was fantastic. Pricey, but worth the splurge. 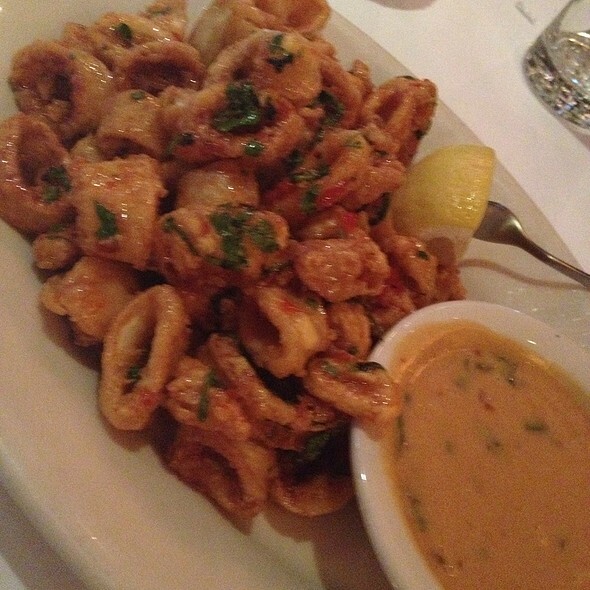 The food was great: the Sweet Chili Calamari appetizer is a must; and all of our entrees were delicious. My guess is that EVERYTHING here is good. There are so many great options on the menu, making it tough to decide. Another reason to love Bobby Van's: The service is oustanding. Our waiter, Howard, was friendly, courteous, funny and helpful. (He helped us decide when we weren't sure what to order. He also asked if we were seeing a show that night, to be sure to get us in and out on time.) I look forward to going back soon, and I highly recommend Bobby Van's. 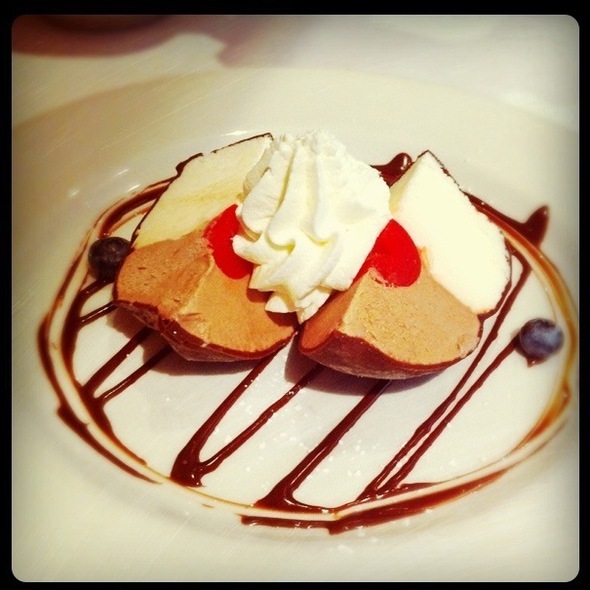 My husband and I had an amazing experience at Bobby Van's Grill. It was a very peaceful atmosphere from the moment we walked through the door. Food as amazing and our waiter was even better. I have already recommended this place to all of my co-workers. Went to dinner after my son was on the Jimmy Fallon show for dinner. Had made reservations for 4 people the day before and then had to add 1 more and was accommodated with no hassle. Show taping ran a little late and when i called i was told that would not be a problem. Dinner was Excellent! Would go back for sure. Service here is perfect. Food is lovely. Food was amazing. Our waiter looked rushed and attended to us only when needed. He never came to check on us to update us on our order or if we needed anything else....or just to see if things where to our satisfaction. He made me feel as if I was a bother to him. I heard such great reviews about this place and wanted to take my fiancé there for his birthday dinner. I’m torn because it was the best ribeye we had, but the service was so extremely poor. Atmosphere is boisterous and energetic. Service is professional, but spotty. Steak was decent, but nothing remarkable compared to other specialty steakhouses. Overpriced and under delivered. Shrimp was good, steak was good, but not worth the cost. The service was okay. The waiter was hard to understand and disappeared a little too much. I wasn’t happy with how I ordered my meal and the server started to serve it to everyone at the table (they had their own food). Perhaps ask next time. The only reason we came to this restaurant was the fact they had an available reservation during happy hour on a nice fair weather weaving. Most other restaurants were booked solid. That says something for the place. I don’t mind paying a premium for something if it’s worth it. The money I spent vs. the satisfaction I left with were far from commensurate. I will honestly say my favorite experience there was the fact they kept my water glass full. $100 for my meal including a steak barely above “Outback” standard last = no return business from me. Great place for a spontaneous family meet-up in NYC! Service, food and atmosphere was great. Very accommodating to the teens in our group. Thank you! The food was good, steaks were amazing but mine was more overdone than ordered. The disappointing thing was the mashed potatoes. They had the consistency and texture of freeze dried out of a box potatoes and not at all what we were expecting. Our waiter was delightful, and gets very high marks! Ten of us went to dinner Saturday night. Service was perfect, everyone’s meal was fantastic. Marcos was an incredible server. Thanks for helping to make a very enjoyable night for all of us. Great steak fillet dinners. Wonderful staff. Highly recommended. Very good steak. Served piping hot and done to everyone’s likeness. This location is the Grill version of Bobby Van's steakhouse. I was expecting a slightly toned down version of a Manhattan steakhouse. I was surprised to find that it the experience was priced like an upscale Manhattan steakhouse but the service and food were far from it. We were surprised to find that each course was either over cooked or under cooked. I eat at many steakhouses in my travels Bobby Van's will not be one of them in the future. 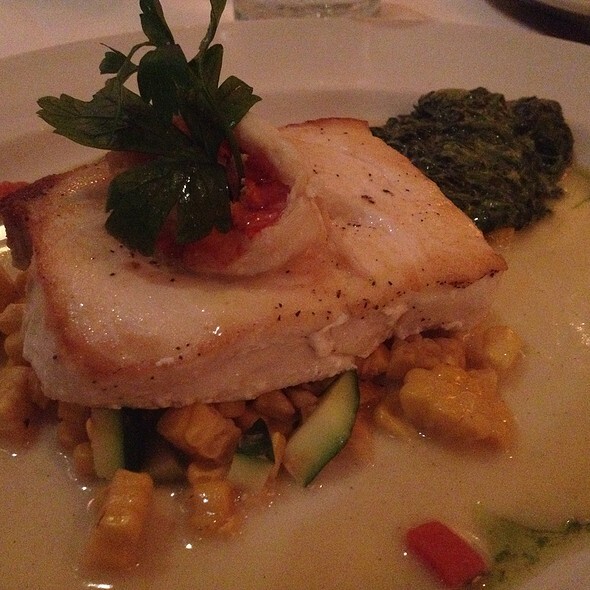 Exceptional service and food consistently. Usually get the steak but was extremely pleased trying the fish this evening. Everyone enjoyed their meals. Looking forward to a return visit. 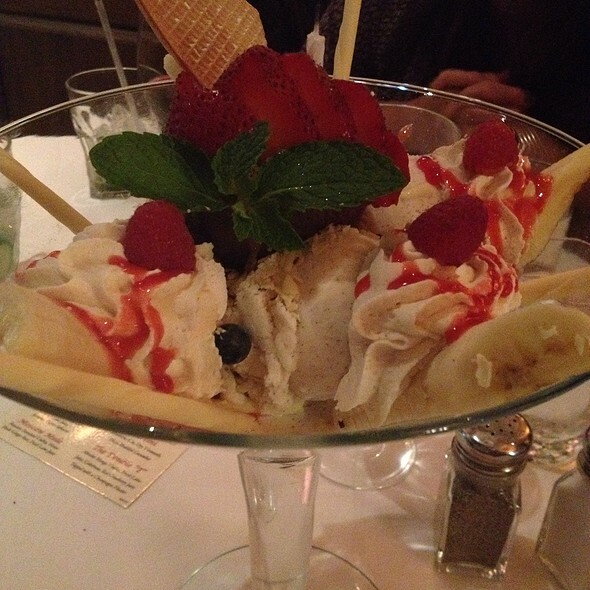 Bobby Van's was amazing. The restaurant, the staff, and the food were all top notch. My husband and I felt welcomed from the very start of our experience. We both chose the lamb chops for dinner and we were not disappointed. They were done just right and tender. We had mashed potatoes and vegetables for our sides. We were given great service throughout and dinner ended with a free dessert, which we did not even expect. Thank you Bobby Van's restaurant and staff. Food was rather unremarkable. Much better options at the DC location. First time and will come back. The service was unreal and the food was incredible. Will visit the Bridgehampton location over the summer. 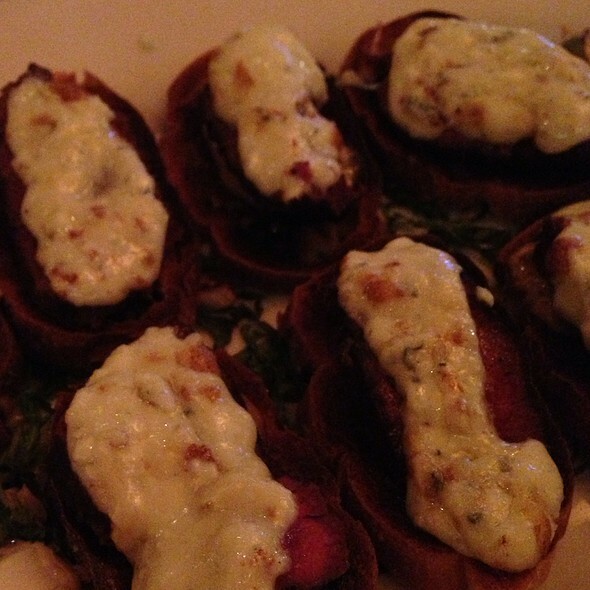 The place is very nice and the food/service was excellent. I would say the only thing that’s missing is maybe some music. It was so quite you could here all the conversations. But overall a nice spot. We had an awesome waiter. Would definitely go there again. This place is slam'n. The staff is great, the drinks are great, the food is great, the price is good for what you get. No one leaves hungry from Bobby Vans. 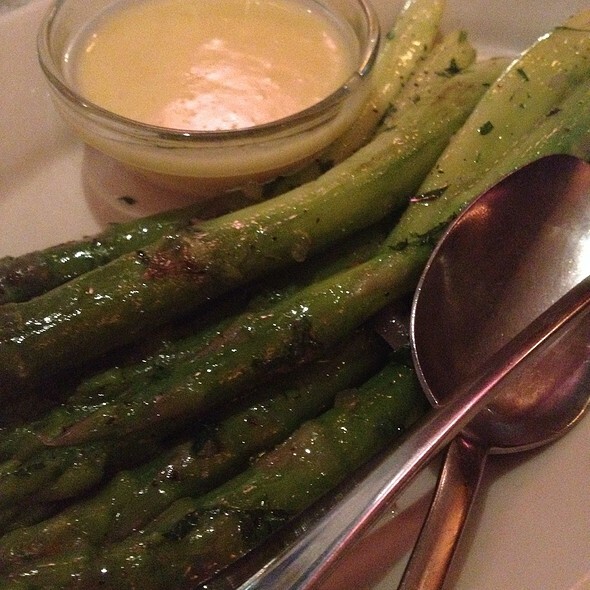 A great, classic dining option just steps from Radio City. We enjoyed a tasty meal, with excellent service, before a show. I specifically appreciated the attentiveness of the wait staff as well as the speed with which the entrees came out.